If you are on the Android platform and have always wanted the ability to leave a video message for your friends when they don’t answer their phone you can now do so as the Tango Video Calls app for Android has now received an update that enables the user to leave a video message when their friends don’t pick up a call. 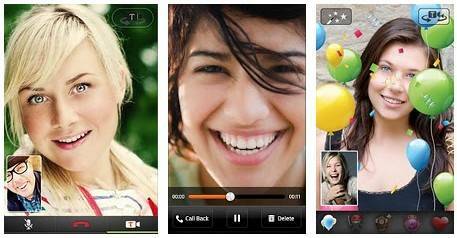 The Tango Video Calls app for Android enables the user to make free phone and video calls over 3G, 4G and WiFi, along with making calls to anyone who has Tango installed on their computer, tablet or handset, a kind of alternative Facetime for Android. With the Tango Video Calls Android application the user can make free video calls between Android, PC, Windows Phone and iOS, along with sending high quality video messages on Tango, whilst saving money by making free international calls to other Tango users. When using the Tango Video Calls app you can begin a call with Tango and then switch to a video call when you need to show something simply by tapping the camera icon, invite friend via email or text, create an account in under 5-minutes, no login or password required, and they will automatically locate friends that are already using Tango. To send a video message without calling you simply long press on your friend’s name and follow the prompts and you can view your video messages by tapping on the Messages tab in Tango. New with the update is improved ability to view video messages on supported devices, fixes the upside down video on the LG Revolution, fixes issues with rotated video on the LG G2x and HTC Rezound, and numerous bug fixes. For those Android users that would like to take advantage of what the Tango Video Calls app for Android offers you can download the app to your chosen Android device running Android 2.1 or above as a free download from the Android Market.